I have written before about candle diy projects. 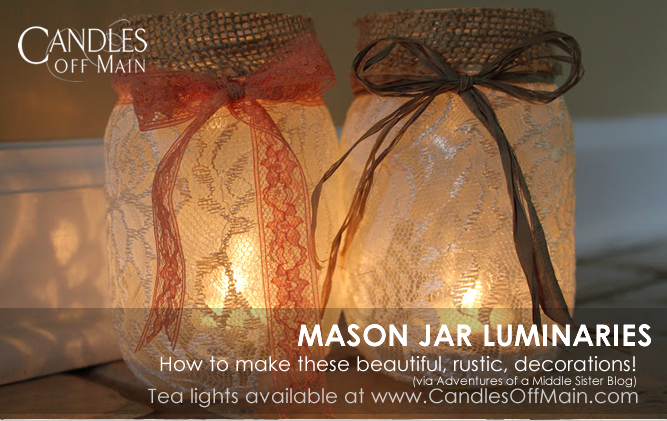 I’m always looking for new ways to upcycle an item instead of throwing it in the recycle bin, but this might be the sweetest way to recycle a candle jar yet. Inspired by very cute creations on Pinterest, I decided to reuse one of my candle jars to create a home for some spring sprites. 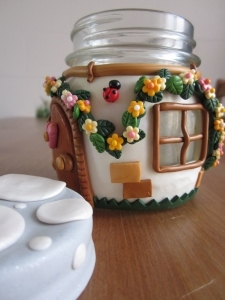 This candle diy was a fun rainy-day activity that I was able to do with my young fairy-loving daughter. 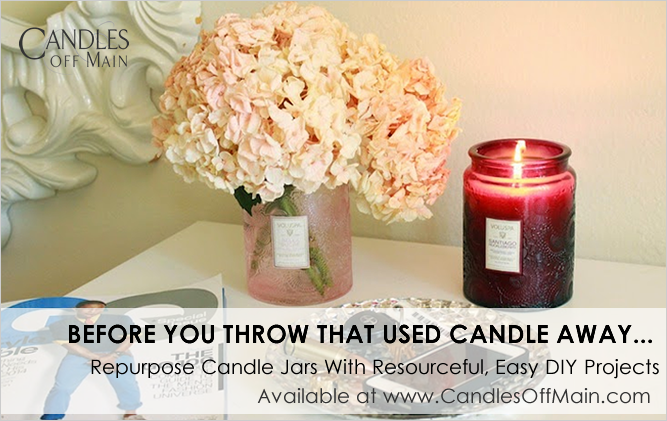 One used candle jar, or any other glass jar. Fairy accessories can either be created yourself with natural materials, or you can purchase them from a craft store or website like Etsy. I found a very cute fairy door to hot glue to my clay-covered jar from a local craft store. Adorable finishing touch. Here is an example of the craft from Pinterest. I’m not sure which language the linked blog is written, but the pictures tell me what I need to know. I typically need very specific instructions to attempt anything crafty, but since my only critic is a toddler, I decided to take my chances and have some fun with this candle diy. K. Hall candle jars are great for this craft. They are simple, clear glass containers with lids that can be used to build a roof structure or the whimsical top of a toadstool mushroom, for decorative purposes only. Be sure to remove the lid while the candle inside is lit. Once the wax is nearly gone, put the candle in the freezer for a few hours, or overnight. When you take it out, use a spoon to pop the frozen puck of wax out of the jar. Peel the label off and clean any wax and adhesive residue from the jar. I ran the glass through the dishwasher for a good clean, and then polished any remaining residue with rubbing alcohol. Once dry, I got to work. I used cream colored clay to cover the jar. Using clay sculpting tools, (a very inexpensive set from the craft store,) I cut a couple of windows out for the candlelight to shine through. I found floral molds to recreate the flowers with different colors of clay. I let my daughter choose where the flowers would adorn the fairy’s home. We created a backdrop with stickers of daisies and ladybugs, and some leaves from outside. This was a great thing for her little hands to work on while I used the sharp and messy materials. I used the Voluspa Apple & Blue Clover votive inside of my jar. The night that we finished this craft, I turned my lights off and lit the candle for the sweetest spring scent and the softest glow of light. I love how the tiny flicker illuminates the windows of the house. My daughter and I enjoyed making up our own fairy tales, inspired by the sweet, tiny house we created together. Another scent that would work well in a fairy jar would be the Trapp Rosemary Jasmine votive. 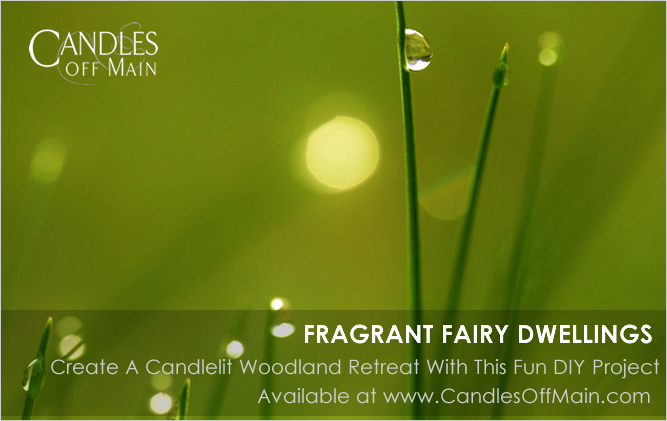 This romantic and woody scent would be inspiring for an early evening spent journaling about daydreams. Another great scent that would make a forest fairy feel at home, is the Thymes Frasier Fir votive. These candles are really popular during the winter holidays, but if a woodland vibe is what you’re after, there is nothing more refreshing than this blend of crisp Siberian Fir needles, cedarwood and sandalwood. Have you tried this craft? Share your creations on our Facebook page, or tag us on Instagram. We would love to see and feature your candle crafts!